According to research conducted by the Real Estate Institute of Western Australia, it’s the best time to buy in Perth since 2013, which is a very different story to the eastern capitals. Rent returns are going up, while prices maintain stable, which means it’s a great time to purchase, especially for those who are looking to maximise their returns over the medium to long-term. Our property of the month is in the master-planned St Leonards Estate, in the Perth suburb of Dayton. It’s 18km (25 minutes) from the CBD and 12km (15mins) from the airport. 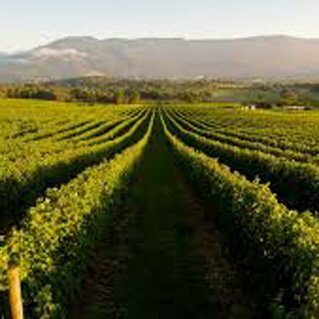 All the recreational attractions of the Swan Valley with their wineries, breweries and nature are in the neighbouring suburbs. It’s a great place to live, easy to get to jobs, while there are new schools and retail precincts on the way. In short, it’s the time to buy in. This month’s featured property is a 4-bedroom, 2 bathroom, double garage house on 301m2 of land, a great sized block for a low-maintenance garden. The turnkey price is $443,400 making this an extremely affordable investment. Given a healthy estimated rental return between $350 and $370 per week, it should also have a moderate effect on your lifestyle. It’s not only an affordable investment, but a high-quality one in an area already popular with families and with excellent and improving access to infrastructure. In fact it’s exactly the kind of investment property that’s likely to attract excellent long-term tenants, which makes St Leonard’s in Dayton a great foundation for planning a comfortable financial future.